TEL AVIV, Israel and NEW YORK, Oct. 16, 2018 /PRNewswire/ -- Sygnia, a cyber technology and services company providing high-end consulting and incident response support for organizations worldwide, today announces that it will be acquired by Temasek, the global investment company headquartered in Singapore. The transaction is subject to customary signing and closing conditions. Sygnia will maintain its operational independence while pursuing collaborations with Temasek and its portfolio companies. With the acquisition, Sygnia will grow its resources and expand its global reach as it continues building its capabilities as a world-class provider of cyber consulting and incident response services. Sygnia works with companies worldwide to proactively build their cyber resilience and defeat attacks within their networks. Since it was founded it has managed numerous heavyweight cyberattacks and has become the trusted advisor of executive managements, boards, and technology teams of top organizations worldwide, including Fortune 100 companies. The company works with organizations across a variety of industries, including financial, legal, retail and consumer goods products, information technology, media and entertainment, pharmaceutical, telecommunication, logistics and manufacturing. Sygnia was launched in 2015 by Team8, the leading cybersecurity think-tank and company creation platform. It had not received any funding beyond its original seed investment by Team8. Sygnia is the third of four companies launched by Team8. The Founder and CEO of Sygnia, Shachar Levy, will continue to lead the company, Nadav Zafrir, former commander of Israel's Intelligence Unit 8200 and CEO of Team8, will maintain his role as Chairman, and Ariel Smoler and Ami Kor, both Co-Founders, will remain in key positions at the company. "Aligning with Temasek will strengthen our capability to provide end to end strategic support to organizations in meeting the specter of cyber threats, and allow us to accelerate building our global reach," said Shachar Levy, Sygnia's founder and CEO. "I am incredibly proud of our team members ? who have made this company into what it is. We will remain committed to the highest standards of professional excellence, client focus, decisiveness and speed." "Sygnia has built a powerful combination of professional proficiency, methodologies, technologies, and a culture of excellence, which is critically needed in confronting the growing complexity of cyber," said Nadav Zafrir, Chairman of Sygnia and CEO of Team8. "Team8 will remain committed to Sygnia's success and we will continue to collaborate and work closely together." Sygnia applies technological supremacy, digital combat experience, data analytics and a business-driven mindset to cybersecurity ? enabling organizations to excel in this digital age. It's a hybrid company, both providing services and developing technologies designed for managing and responding to sophisticated cyber threats. The company has built a dream team of experts from military and industry backgrounds. It draws from the ranks of elite intelligence and technology units - including Unit 8200, known as the "Israeli NSA" - as well as top security talent from the industry. Sygnia is a cyber technology and services company, providing high-end consulting and incident response support for organizations worldwide. Sygnia works with companies to proactively build their cyber resilience and to respond and defeat attacks within their networks. It is the trusted advisor and cyber security service provider for IT and security teams, senior managements, and boards of top organizations worldwide. The company applies technological supremacy, digital combat experience and a business-driven mindset to cybersecurity, enabling organizations to excel in the age of cyber. Team8 is Israel's leading think tank and company creation platform, focused on cyber security, information and data technologies. Supported by an in-house team of top researchers, engineers and analysts, Team8 is focused on developing disruptive technologies and category-leading companies that enable businesses to reap the benefits of digital transformation in an agile and secure manner. 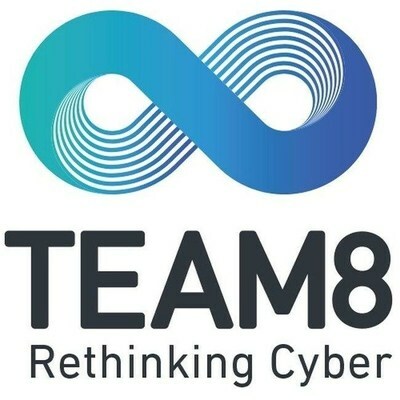 Team8 was founded by former leaders of Intelligence Unit 8200, Nadav Zafrir, Israel Grimberg and Liran Grinberg, and is backed by Microsoft, Cisco, AT&T, Accenture, Nokia, Temasek, Mitsui, Bessemer Venture Partners, and Innovation Endeavors. Incorporated in 1974, Temasek is a global investment company headquartered in Singapore. Supported by its network of international offices, Temasek owns a US$235 billion (S$308 billion) portfolio as at 31 March 2018, with significant exposure to Singapore and the rest of Asia. Temasek's investment activities are guided by four investment themes and the long term trends they represent: Transforming Economies; Growing Middle Income Populations; Deepening Comparative Advantages; and Emerging Champions. Temasek's investment strategy allows it to capture opportunities across the sectors in which it invests that help bring about a better, smarter and more connected world.